Classic style biker jacket. 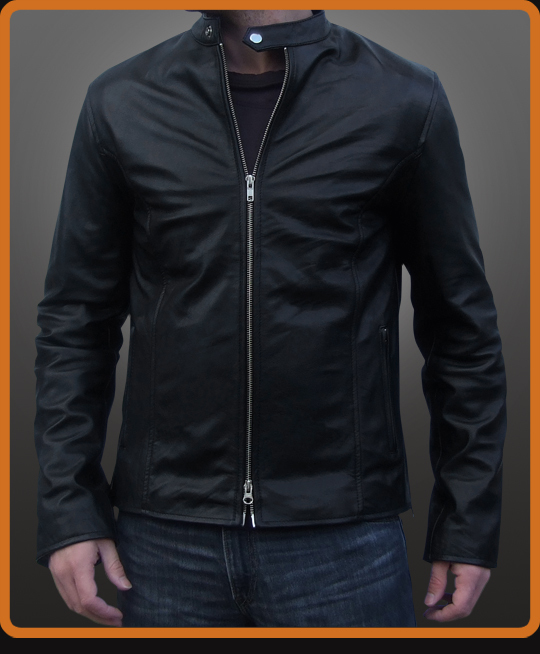 Subtle curved seam lines with concealed lower front pockets and cuff zips. Clean style leather jacket.